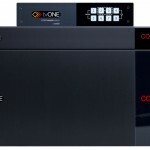 Margate, Kent, UK, 18 March 2019 – tvONE (tvone.com), a leading designer and manufacturer of cutting-edge video and multimedia processing equipment, is introducing a new, enhanced CORIOmaster video wall processor at DSE 2019 (Booth #1118). The booth will also feature new HDMI 2.0 products including active optical cables and a new series of distribution amplifiers. Stand out from the crowd with the new enhancements to the powerful CORIOmaster (4RU), CORIOmaster mini (1RU) and CORIOmaster micro (1/2 RU) video wall processors. Coupled with our easy-to-use creative video wall design software, CORIOgrapher, CORIOmaster video wall processors are the most flexible and secure processors on the market. CORIOgrapher allows for 360° rotation, mix and match display types, overlaps or edge-blends, and automatically corrects for display size and bezels. Demo the simplicity of the software yourself on our booth! The latest CORIOmaster enhancements include a secure communication suite with full REST API and multi-user control. Other improvements include an HDMI 4-port output module (CM-HDMI-SC-4OUT), audio support for the CORIOmaster and CORIOmaster mini for embedded audio, and a dedicated audio module (CM-AUD-2IN-4OUT). The HDMI 4-port output upgrades your C3-540 CORIOmaster to up to 56 outputs to create massive video walls, projector edge blends, and LED installations. The new embedded audio support and audio module ensure the CORIOmaster is supreme when you need both video and audio in an installation. The IP streaming module now accepts both H.264 and H.265 (HEVC) for higher quality, increased bandwidth performance and includes a low latency mode. Experience life-like colour and higher 4K frame rates with Magenta’s new HDMI 2.0 products supporting video resolutions up to 4Kx2K@60Hz 4:4:4 HDR and providing 18 Gbps of high bandwidth. The MG-AOC-66x series of active optical cables provide a simple, robust solution for extending ultra-high resolutions over long distances. This reliability is also available in DisplayPort™ 1.4, (MG-AOC-88x) supporting resolutions up to 8K/60. Both variants are available in plenum and non-plenum versions. Also showcased on the booth is the MG-DA-61x series, which provides a high-performance solution for distributing HDMI signals in an ultra-compact form factor. 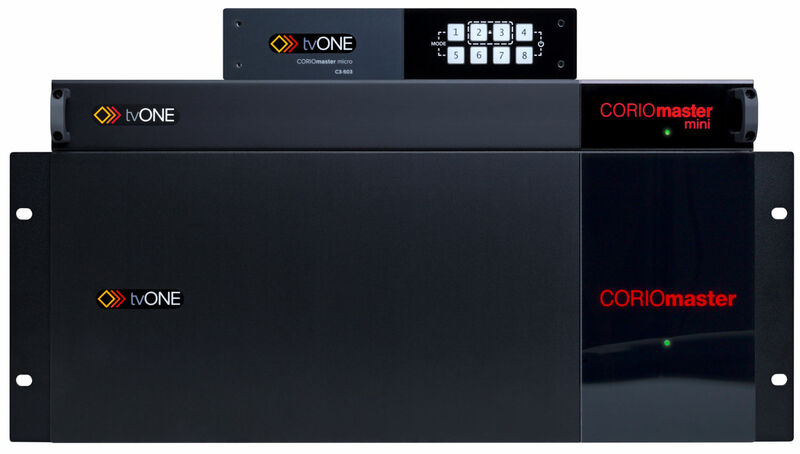 The tvONE brand specialises in video, audio, and multimedia processing equipment, based on its proprietary CORIO® video conversion technology. Products include all-in-one system solutions, windowing processors, scan converters, seamless switchers, video scalers, up/down/cross converters, analogue-digital converters, including SD/HD-SDI, HDMI, and DVI, format converters, and standard converters.